We’ve known Mary and Josh for a few years now. We photographed their wedding a couple years ago out at Dairyland, and we’ve been in touch since. Last year, Mary brought a beautiful baby boy into the world, and asked me to do the honor of taking their family photos this fall. The plan was to hit up a pumpkin patch to take in the fall color and celebrate the season in a fun and laid back session. We picked The Farm at Swan’s Trail (it’s my personal favorite), and headed out to beat the crowds early on a sunny mid-October weekend. 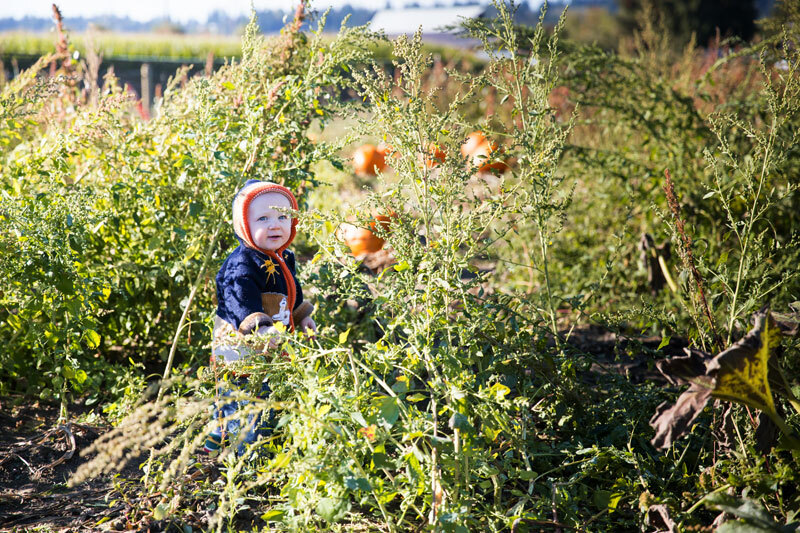 It got crazy quick (pro-tip, hit up the Snohomish area pumpkin patches as close to opening as possible to avoid long lines where you can), but we managed to get some really great photos despite that. Their little one cracked me up trying to pick up a pumpkin half his size, grunting all the while. It was such a fun morning, and I feel so blessed to have clients that continue to ask me to capture their memories!